It's Holiday time and you've run out of gift wrap. If you have a whole bunch of Paper bags from retail stores, then you're in luck! 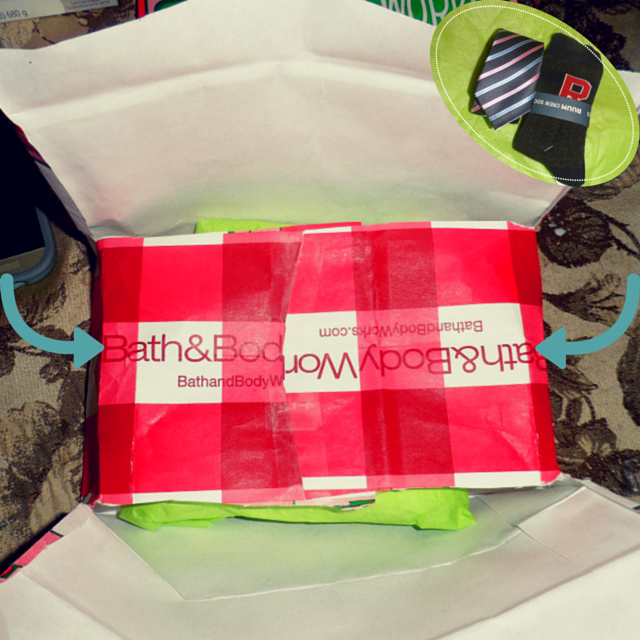 I'm here to teach you how to turn a Paper bag into a Gift box with 4 easy steps! 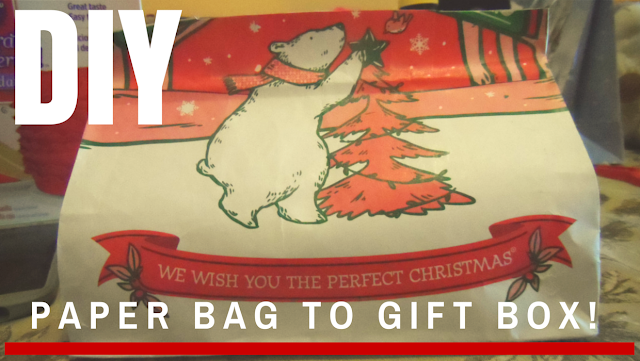 1) Grab your paper bag and lay it flat (Plus if it has a cute Xmas design). Then cut off the handles along the dotted line. 2) Open up the bag and turn the side towards you. Cut two slits along the sides and stop half way. (Refer to photo) Repeat on other side. 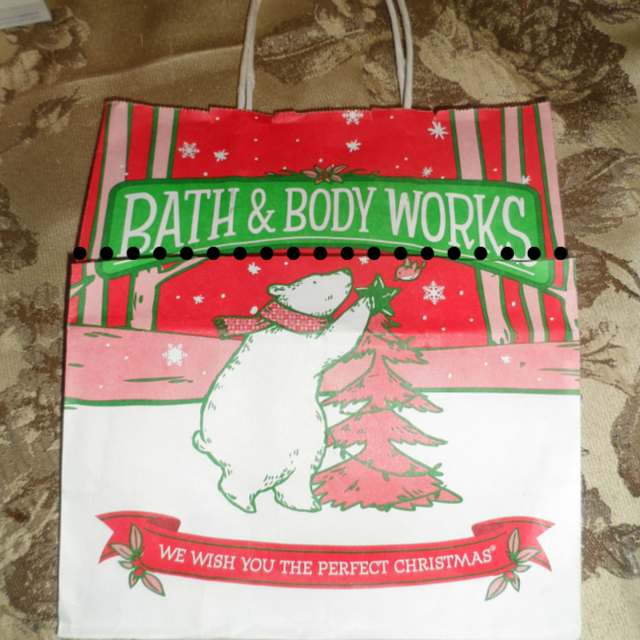 3) Wrap gift in tissue paper or leave as is and place inside bag. Bring in both sides, overlap, and tape in the middle. 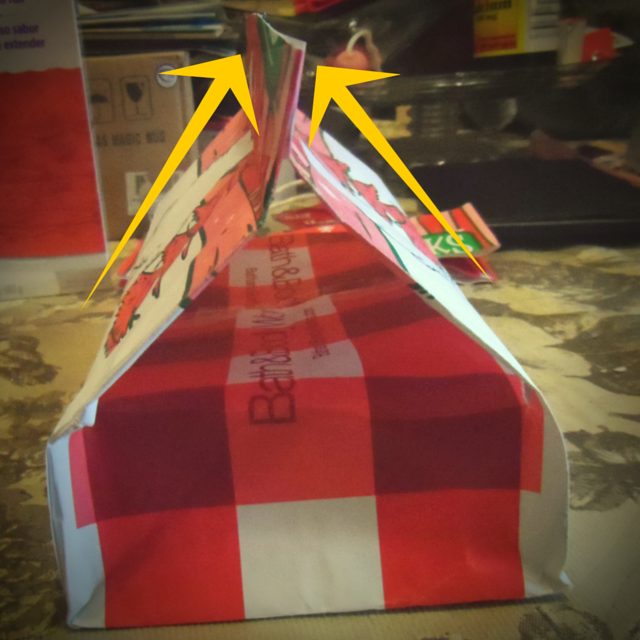 4) Bring in both the front and back of the paper bag to create a Tent-like structure. Tape it closed (or staple). Write the recipient's name on the "Box" and Voila! You are all done. 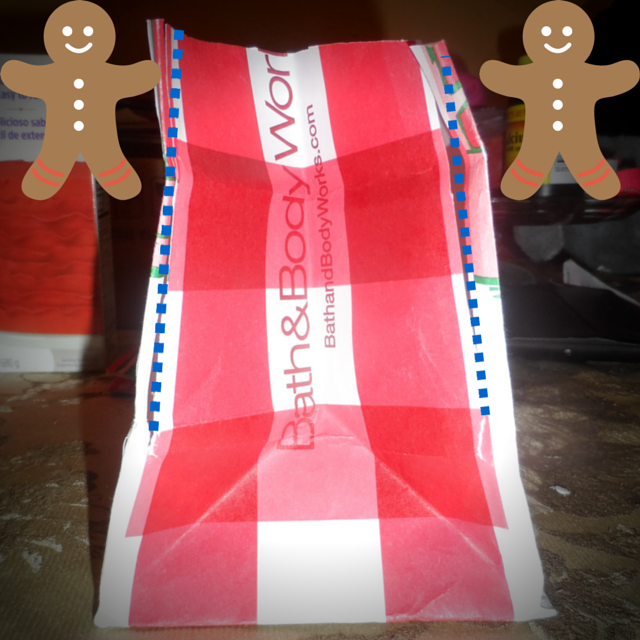 No need to buy gift wrap for those last 2 or 3 small/medium sized gifts. I'm all for reusing and this is one great idea! Liked this quick DiY tip? Be sure to Pin it for Later. Love this idea, thanks for sharing. Super creative. This is so clever! Not only is this seriously adorable but a great way to reuse and upcycle! Super cute- great for those last minute parties when you don't have time to stop for a gift bag or wrapping paper! And reusing is always best! How cute and very creative!